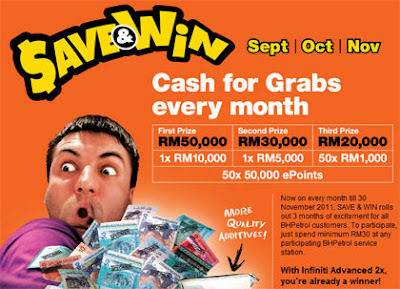 Spend minimum RM30 at any participating BHPetrol service station. RM60 in a single receipt, entitled to 2 contest forms. Submit form via contest drop boxes all participating BHPetrol service stations nationwide. Visit BHPetrol website for more detail. It's time for you to be amongst the first in Malaysia to view the new line-up of Volkswagen models!